The food guide pyramid has been replaced with a new graphic…a dinner plate. The new guide is based on the updated 2010 Dietary Guidelines for Americans. Learn more about “My Plate” by exploring the website. It’s about redesigning your plate! 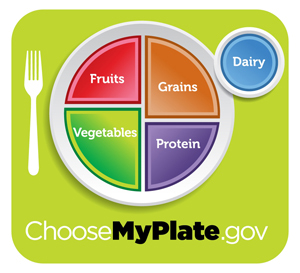 Visit ChooseMyPlate.gov for more information.